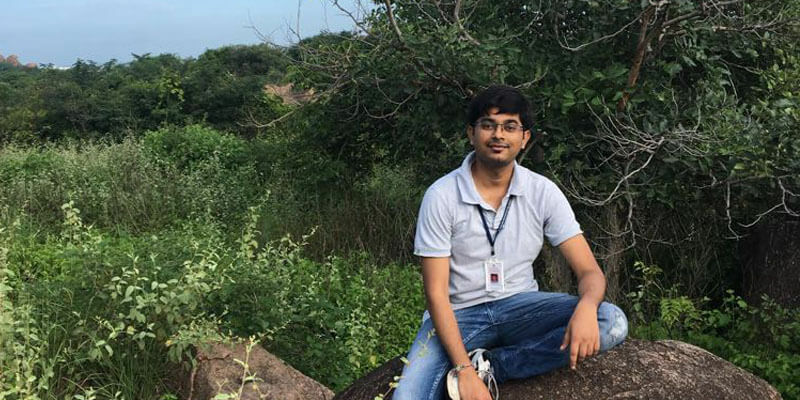 Nikhil Srivas (CSE 2016 Rank 1016) UPSC Topper’s Interview - "Getting into Civil Services is not the end, but just a beginning"
Nikhil Srivas – in his own words – belong to an average middle class who loves watching comedy shows or daily soaps rather than some news channel. He went to an average English medium school, where even the teachers can’t speak English. But he is no ordinary guy. 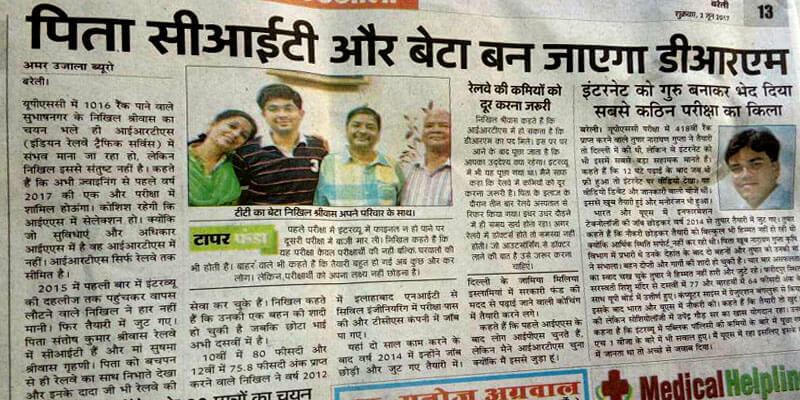 Nikhil passed B.Tech from NIT Allahabad when he was just 19 years of age. 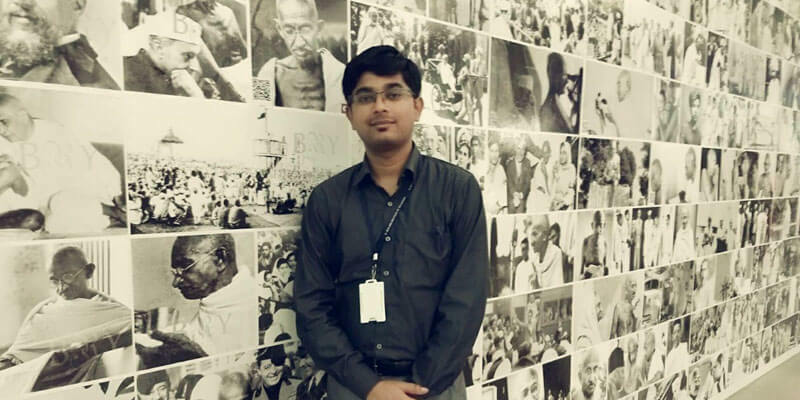 He joined TCS as a Java Developer and simultaneously started preparing for various competitive exams. He cleared various exam conducted by SSC, SBI, IBPS etc before emerging successful in UPSC Civil Services Exam. Had he scored more marks in his optional, his ranking would have been even better. Nikhil can share a lot of valuable tips – on success and failures with the ClearIAS readers. 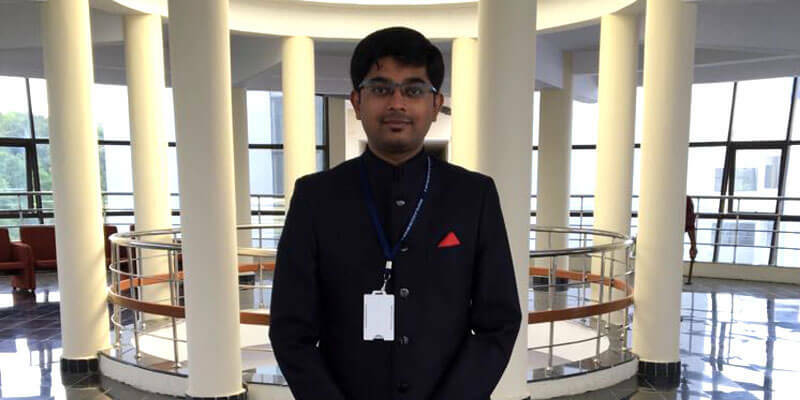 Let’s welcome Nikhil Srivasr to the “UPSC Toppers Interview” at www.clearias.com. What’s unique about your profile: Knowledge diversity – Even a quick glance at the profile so far reveals a Civil engineer working as a software developer who took geography as an optional. First and the foremost, everything written below, no matter how small or big or a fantasy it may seem, is true and honestly jotted down. Yes, it may be different than the traditional elite class or child prodigies, but it is simply what it is. Secondly, since it might be long and could even be boring for readers who are not interested in details. For those who do not want finer details, it is thus advisable to scroll down to the segment which satisfies your need. Everyone who aspires to be a civil servant has a compelling reason behind it – prestige, money or personality growth – there is always a fire that burns within. In my case, it was my parent’s wish (there is nothing to be ashamed of mentioning it, as against the popular misconception, and neither it’s a trivial reason, for someone who had brought you up to the one who you are today) and the sense that I am highly indebted to the society itself (explained below). Being honest, I belong to a family which never had the privilege to have a sight of what an IAS officer actually do. All that I knew was that there is a big bungalow inside which lives a powerful man. I still remember noting down the words UPSC in my notebook when I first heard about it, as if I came to know about some secret key. Yes, it was a luxury to me, to someone who doesn’t even know the full form of IAS. I belong to an average middle class who loves watching comedy shows or daily soaps rather than some news channel. Went to an average English medium school, where even the teachers can’t speak English. Went through the same hierarchal subject categorization and thus opted and shown interest only in maths and science. Prior to my graduation, there was a silent tension hung in my home, so as to how we will be able to afford the engineering fee of 2 children, one being my elder sister. It was lucky for me that one of my targeted colleges NIT Allahabad came to my rescue and I did, wastefully and yet happily, my engineering. I was graduated in 19 years of age, being one of the youngest pass out from my college. My family for the first time expressed their wish for me to become an officer or someone who has a respect in the society. I thus started my quest of how a society actually works. Since I was ineligible for almost all the government jobs, owing to the minimum age criteria, I joined TCS. Yet I gave my 100% to the job and took out some time for the exams later in the evening. I came to know about the coaching centres and their hefty fee, so needed to have some savings to sustain it too. In Feb 2014 I finally made up my mind and took one of the boldest decision of my life, to prepare for an exam of which I had absolutely zero ideas of. It was a fantasy for me, I used to hear the tales about this service, I used to wonder how an IAS would look like, what they eat, what they do. I didn’t even know the difference between an MP and an MLA when I started my journey. In 2014 I gave my first attempt, still in the preparation, cleared the prelims, however my father was diagnosed with subdural hematoma and thus needed immediate medical attention, so I went home to hospitals ( government funding for the medical expenses was vital and crucial here ), returning later only to find out that I have 10 days left for mains. Yet somehow to my surprise, I was just 30 marks short of an interview call. In 2015, I cleared the mains and gave the interview, first time entering the building which literally makes the officers. I was nervous and was still doubting my calibre while sitting on a seat waiting for the door beside me to open. My first interview board was of Manvir Singh sir’s. The interview went on for about 25 min and was too pale to be awarded high marks. I got 149 which was on the expected lines. 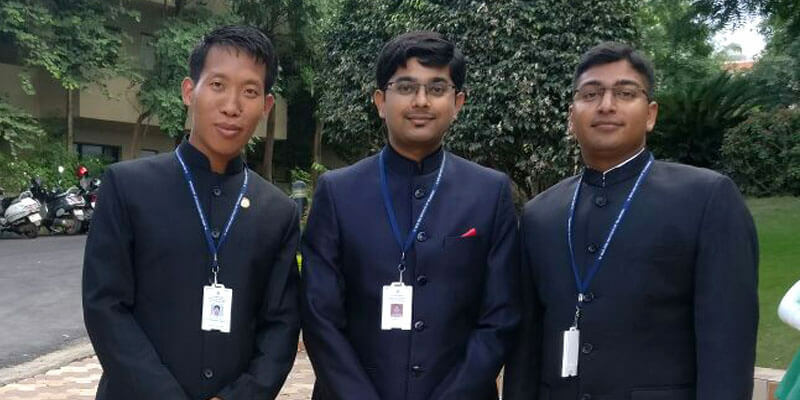 In 2016, I already had faced 3 interviews at UPSC. At each time increasing my score and thus the confidence. This time my interview panel was of Vinay Mittal sir’s board. Seeing my father being employed in railways caught his eyes. My interview went for around 45-50 min, with a diversity of topics increasing with each passing minute, till the chairman interrupted and said, ok Nikhil, this would be the last question for this interview, hear it very carefully and answer it precisely. The words which still lingers in my mind, the question which I asked to myself each and every single day, Why Do I want to become a civil servant? I was never the one who cram up the words and vomit them in the interview. I told them the exact same line I wrote in the beginning, where it all started, he focused on the later half and asked me whether I was good at coding. The answer, being a yes, he asked me I could have contributed to the society being the next Narayan Murthy of India, why civil services? To which I narrated an incident from my place of work, so as to how being in a private company not only limits your available opportunities rather your capacity, both finances and time. He wished me good luck with a smile before I came out to see the sunlight once again. It was the 31st may when the result was declared. I sat in my room the whole day, browsing from forums to forums when the result will be released. Finally, a WhatsApp message from one of my friend, Harshit, came in. CONGRATULATIONS ! the words which I was eagerly waiting for. A pdf was thereafter forwarded to me, the pdf which had my name. I called at my home. I remember my parents asking about the result each day twice from the past one month, which finally came. My mother was happy beyond the bounds, so was my father, sister and brother. I took the first train from Delhi to Bareilly, reached at night, only to find out that my family was awake, waiting for me. It was a big and one of the most memorable moments in my life. I finally had something which could make my parents proud, the ones who gave everything to me without even me asking for it. Getting in the civil services is not an end, rather a beginning to what my ambition is. It is the platform to serve, and yes this is what I honestly feel. And I intend to be like this in the service too. As for my competence for the service, I have experience from diverse fields, from civil engineering to software development, from the ground level vital problems to the macro level administration, I still have a lot to learn and gladly will, hopefully, finance management and accounting is the next. Do you feel that the competition level of UPSC Civil Services Exam is on a rise? It seems that there is an increasing trend of candidates from IITs, IIMs and AIIMS attempting and clearing this exam. Is Civil Service the final destination /ambition of Indian youth, in this age of lucrative private sector jobs? Civil services is not a job, rather a service, which comes with a huge respect in the society. You actually hold the power to bring a change, not only from your service but also by being an ideal for the rest to follow. An honest hardworking civil servant is always respected in every sphere everywhere. This is what attracts the quality youth most. 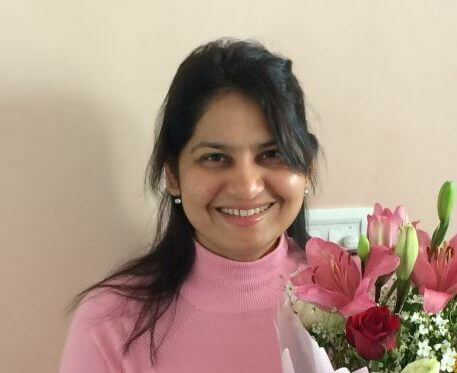 I too have left my job even though having an H1b visa opportunity, not for the money, not to attain some NEELI BATTI but rather for the service. I have many friends from IIT and IIMs too, some preparing, some in the service already. Yes, the competition level in the exam has significantly increased in recent years but it is not because of the elite student’s entry, rather because of the motivation level and the sheer number of candidates itself. It is no longer an exam that you can prepare by being in isolation. Study material is not a luxury anymore, guidances are available online. On this platform it really doesn’t matter what your past is, what matters is how do you want your future to be. Further, it is neither the final nor the only destination for an ambitious youth. The private sector too has a huge opportunity for personality and knowledge growth, it has professional, efficient and thus lucrative work environment. It offers incomparable financial growth opportunity, which is generally not available in the government sector. Also lately the startup culture is gaining prominence, which is more competitive and adventurous too. So take some time, listen to your heart and then take the leap of faith. ClearIAS.com: What is the secret of your success? How did you approach this exam? What was your strategy in general (Prelims, Mains, and Interview)?Also, on an average how many hours did you put on a daily basis? How did you manage time? Since everyone has its own style of studying, so do I. I never had a habit, nor felt a necessity for long study hours. I studied for almost 2 hours a day ( excluding newspapers, tests and online videos ). What I did differently was the way of studying itself. Whenever I used to study, I generally kept my phone on silent, even when I have to google something, I wrote it down for later, instead of getting swallowed by the internet. Revision is a must and should not be compromised. I would strongly suggest each student to make notes of whatever he/she reads before closing the topic. These notes are of immense importance just before the exams. Prelims: Focus more on the factual details, whenever you read, write it down. Even if you don’t have the habit of making proper notes, do it in rough. Anything written by you personally will have a longer chance for you to remember it. Further, try to diversify your sources once you are done with your basic books and initial reading. Mains: Mains is more of your understanding of each topic. Try to read topics in a cursory glance and figure out various dimensions associated with it. Even a question of history can be answered through different dimensions, say economics, polity, culture, etc. Try to include as many dimensions as possible in limited words. Reading the question carefully and understanding the context is of utmost importance. An answer which hovers around the question but does not address it is a sin. So give some time in reading the question to absorb the underlying context of it. Interview: UPSC intentionally named its interview as the personality test. It is a general scrutiny of the candidate’s character. I call it the “Practical for GS paper IV”. They will try to analyse you from the various dimensions, with questions being the medium. Try to be crisp and honest in your answers, keep your base personality intact, do not BLUFF. You may take a guess if you want to but do ask for it politely. Also, there is a popular misconception that language plays a vital role here, No. Language is simply a medium to transfer the thought, as long as you can do it in easier words, there is absolutely no harm. ClearIAS.com: How long (Years/Months) have you been preparing before you gave this attempt? As told above, before entering into the preparation, I had absolutely zero ideas of what and how to do this preparation. So any candidate like me who wants to opt for it can safely do so. What really required is a dream and a reason to burn the fire! I cannot be put entirely in either of those. I did study alone when the needs were and also in a group too. Though I would strongly suggest for discussions with other candidates while preparation. Different viewpoints present different ideologies thus different dimensions. Also at times, the discussion might heat up, learn to respect the shades of grey. Agree to disagree. It will take you miles ahead in your preparation. Coaching institutes are simply a tool for guidance. They are neither mandatory nor a waste. I attended to Vajiram and Ravi in my initial year, thereafter joined RCA CCCP Jamia Millia Islamia. As aforesaid, they were definitely helpful being a guide but the real effort has to be put by the candidate himself. I would specifically suggest to read/attend Ravindaran Sir’s notes (Polity), Zulfiqar sir’s notes (economics), KSG & HSC (interview) since they held great importance in my success. I would suggest you follow Insights on India or IAS baba or Mrunal or ClearIAS (remember its OR and not AND). Try not to overstress yourself by reading a topic from multiple sources unless it holds great importance. Also, do listen to Rajya Sabha TV debates- say big picture, they will provide you with viewpoints and factual details on a topic. I have personally referred to ClearIAS website during my preparation, but since I got to know it quite late and was referring to a similar website, I did not spend much of my time here. Though a candidate may refer to it as a source, being a budding platform in this competitive field, they are doing some noteworthy effort in collating important information. I neither used social media as a tool to study nor abandoned it. It was simply there to entertain myself in my leisure time. Do not mix 2 things together, if you want to study, do it 100% if you want to pass time then do it the way you do not feel it’s wasted. I used Evernote for a limited time, but then again, I found handwritten notes much easier and more fruitful to share than digital ones. I used to read 2 newspapers: The Hindu and The Indian Express. I would recommend the candidates to read at least 2 newspapers, so as not to let their viewpoints shift on the either extremes. Also not each and every article in the newspaper is important, nearly 60% of the news columns are not relevant for the preparation. Also, there is no fixed time for reading it, there will be days when you would take hours to finish it up, then there will be those where minutes will be enough. A mix of both, I read the e-books as well as the hard copies. Reading e-books was tough for me since I did it on a smartphone ( didn’t have a laptop back then ). So I prefer taking a printout of it and then read it. A candidate who is comfortable on the screen can explore a larger content than what the traditional ones can. Thus it’s an added advantage if you want to have. Books/Study materials for General Studies Paper 2 (CSAT): Was not required in my case, would suggest RS Agarwal and model tests if required. Diversify your sources, increase your reach, revise what you read each day and be confident with whatever you have prepared. Don’t let the Anxiety ruin your performance. Books/Study materials used for Essay Paper: None. And honestly never felt the need to. The essay is all about your understanding and depth in a topic. There is none a good way or bad way to express it. Be confident in your writing style and keep on improving it the way you want. Books/Study materials used for General Studies 1 (Indian History, World History, Indian Society, Indian Geography, and World Geography): As stated above, but the orientation changes. You need to focus more on understanding the causes and aftereffects of each event, analyse the details and reasons for a war, glance over the importance of various events in history making. Try to include various dimensions in your answer. For geography, though a diagram or a map is not mandatory, it will definitely provide an edge when relevant. Be creative in your writing. Books/Study materials used for General Studies 2 (Constitution, Polity, Governance, Social Justice, Foreign Relations, and International Affairs): Here you have to be precise. You may also quote references and data to defend your viewpoint or to provide substance to your answers, though avoid quoting unrelated data just to show off. Books/Study materials used for General Studies 3 (Indian Economy, Biodiversity, Science and Technology, Internal Security and Disaster Management): Increase your horizon and try to attempt an answer from all the possible dimensions. Include as many factors as you can in your answers. This paper is the most scoring among all, so make a good use of it. Yes. In fact, I strongly advise for preparing handwritten notes. They really are a saviour during the final hours. For current affairs, I read multiple sources though not holistically, for which I paid dearly too. I would advise to read the newspaper daily, be it The Hindu or The Indian Express. Also, follow a monthly magazine for CA, anything which suits u, be it Vision IAS or Vajiram. Do follow a website too, IAS baba, Insights on India, ClearIAS, any one of them will do the job. There is no fixed list for it. It is the findings which are more important, even the state of forest resource report can become crucial if some major finding is there. This was my stronghold, I have a habit of using both blue and black pen. I automatically write the keywords with black thus giving a presentable look to my answers. I used the Rs.10 gel pens, I guess the name was Rrorito. I always write in numbered bullet points. It gives a clarity to the answer. In fact, when mixed with the black and blue combination, the examiner can read my answer in 30 sec and could know what I would have written. ClearIAS.com: What was your interview dress? Raymond Black suit with light blue shirt and blue tie. Board: Vinay Mittal. 40 to 45 min. Entered, wished afternoon, chairman interrupted in between and asked me to sit down. So Nikhil I can see that you worked in the software industry, are you still in touch with it? Asked questions about one app which I developed. Infosys pointed out that there is enough potential for growth of software in India despite scepticism by world industries, why? Tangible benefits of the digital transition in India. Suggest reform from personal experience. Types and width of rail gauges in India. Why 1.676 meter in broad gauge and why we adopted it? what is the world standard? Is broad gauge unique to India? Railways recently announced 2 of its biggest projects, what are they? Where is the highest railway bridge planned located? Vulgar and misleading advertisement, should all adds be banned (an obvious no)? Responsibility and measures that should be taken for misleading adds. India has low teacher to student ratio, should it adopt digital education? Will you suggest using it in your college? What improvements do you suggest in civil engineering in your institute? Barriers in use of the digital platform. You could have become the next Narayan Murthy of India so why choose this path? By being an entrepreneur you could have contributed too for the society, why civil services? Told me my interview is over. I always created a backup since my college ended so there were a few in hand always. Yes, as at the early stage it needs more time and effort. Take out time to read newspaper in the morning, rest for some time after the office, a power nap preferably and do dedicate at least 2 hours daily for reading. Also, take out more time on the weekends. Try to be disciplined, if this is what you really want. Please also indicate the approximate number of attempts in each General Studies paper and the optional paper. For how many marks did you attempt in each paper? 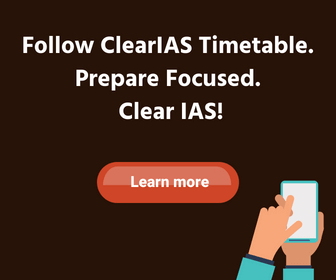 ClearIAS.com: After looking at the mark sheet, suppose if you are going to write prelims and mains this year, what changes will you make in your preparation, answer writing, and interview? ClearIAS.com: We like to express our heartiest congratulations once again for this grand success. We are happy that you chose ClearIAS.com to share your happiness on this special occasion. ClearIAS.com sincerely thank you, on behalf our readers and ourselves, for the spirit and benevolence to find time to write answers to our detailed questionnaire. Wishing you, all the very best in career and life. Good to hear that u r aspiring for civil services. Since you already are referring to online sources, I would suggest you to develop a comprehensive understanding of the topics you read. Go through the basic books suggested above. Read atleast one newspaper daily, I would suggest Hindu or the Indian express. And do not lose hope if you fail to get in your first few attempts, each attempt is a new attempt and you get the same service irrespective of its count. All the best for your preparation !! Dis is d most modest interview of a selected candidate dat I ever came across. Thanx for sharing ur experience dis is definitely going to add strength in our preparation. Awsum article no fake words. so how should I study for this. Class eleventh is a bit too early for preparation, I would rather suggest you to first explore your interest, but if you aspire for civil services then choose your education path accordingly. Go for humanities if you want to opt for humanity’s subject. Also get in a habit to know things, everything that you see, develop a curiosity to know it. UPSC CSE is nothing but knowing India. Sir how to prepare notes from newspapers? How can we improve our writing speed? Is it necessary to make notes from pib? Prepare notes from newspaper : Only write things which are of utmost importance or you can use it in the answers. If you jot down everything then you will simply be adding the bulk. Make it concise so that you can revise it easily in the end. Improve writing speed : Something that always cost me grossly. The only solution is to have a writing practice and stick to the word limit. Time is apt if you follow the word limit. i’m doing job at Hero moto corp. ltd. plz suggest how can i prepare for UPSC togather. Dont get yourself in this hoax of old or new ncert. Both are good enough, though in the newer ones you will get the updated facts, thus i will recommend you to go for new ones. i’m in first year of my engineering and i want to pursue a career in the indian foreign services. but, i recently got an ATKT in my chemistry paper, could you tell me if it has an impact on my presentation as a candidate. also, in your knowledge what are some subjects that i should start focusing on in order to strengthen my knowledge about foreign policies. Sir I have done bsc in chemistry and now I want to achieve my goals by doing IAS ,sir plz suggest me that which subjects should I select for it. Sir, I am doing b.tech at mnnit.my branch is pie.being in 2nd year what can I do that can really help me for upsc. Is it necessary to have any backup plan for Civil Services Exams?